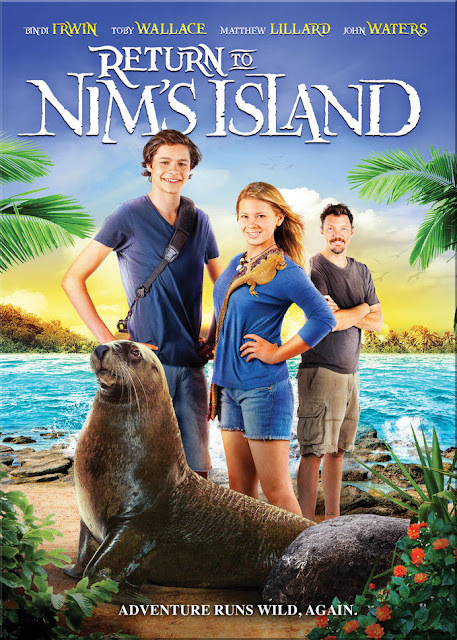 Return to Nims Island premiers on Hallmark Channel March 15th 2013 at 7/8C! Did you love the movie Nim's Island? Well Friday, March 15th marks the new Hallmark Channel movie Return to Nim's Island, the sequel to Walden Medias 2008 box office hit Nim's Island. 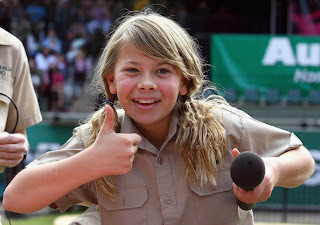 The story picks up a few years later with 14-year-old Nim (Bindi Irwin) more determined than ever to protect her island and the animals that call it home. With ruthless resort developers and greedy wildlife poachers threatening the existence she loves, Nim realizes she and her animal pals cant defend their home alone. To save her island, she is forced to combine forces with an outsider: Edmund, a runaway from the mainland. Only with his help does she stand a chance of stopping the villains from dismantling her world. Return to Nim's Island marks the debut of Walden Family Theater, presented by Walmart and P&G. The new destination for family entertainment, exclusively on Hallmark Channel. - Discover Which Adventurer You Are Quiz! Whether youre a fearless explorer, a precocious castaway or an unexpected hero, Nim's Island is an adventurers paradise. Take the quiz to find out which Nim adventurer you are! - 7 Awesome Family Activities! You dont have to travel to an exotic island or faraway land because, adventures happen everywhere! Download and share these awesome family adventures that will transport you all to your next, unforgettable journey. - Postcard from Nim's Island! Postcards from a faraway island! Share these funny postcards from Nim's Island with your friends and family! Return to Nims Island star Bindi Irwin will be doing a Live Twitter Q&A on Saturday March 9th at 6pm EST/3pm PST! This is your chance to connect with Bindi! Bindi will be collecting questions to answer on Saturday so start asking away, just remember to tag your question to Bindi with #nimsislandchat! One (1) FREEISMYLIFE reader will WIN a Return to Nim's Island Blu-ray Combo Pack - HOLLA to the FREE!!! - USA addresses only. The prize will be sent via FedEx or UPS. No P.O. Boxes please. - The contest ends on Friday, March 15, 2013 at 11:59 am EST. - Prize will be fulfilled to winner by DBA Worldwide PR. - You can get 1 extra giveaway entry for answering the Nimi's Island question at this link. - You can get 1 extra giveaway entry for tweeting the following message on Twitter "I entered to WIN a #ReturnToNimsIsland Blu-Ray Combo Pack on @freeismylife http://ow.ly/ixHzG "
Random.org has spoken!!! Out of 53 entries, Random.org has picked #27. 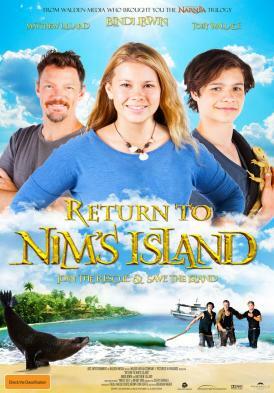 Congratulations to the winner of the Return to Nim's Island Blu-Ray Combo Pack Prize - Jack R. of Fort Wayne, IN !!! Disclosure: The prize for this giveaway is being sponsored by DBA West PR, Walden Media & the Hallmark Channel.